This Mexican mural was installed by the bathtub in the shower. The field tile is Yellow Talavera Mexican Tile. 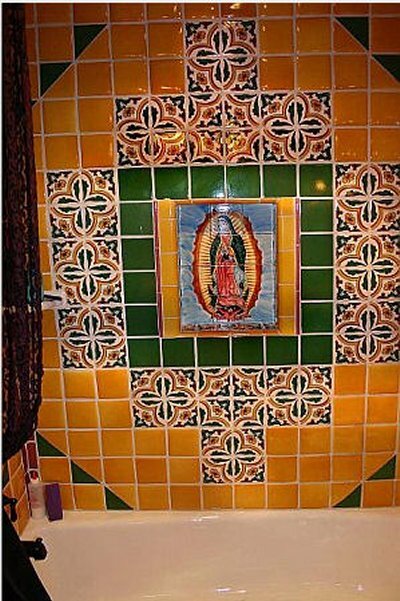 The mural is framed using Green Talavera Mexican Tile.